1. How it all started? 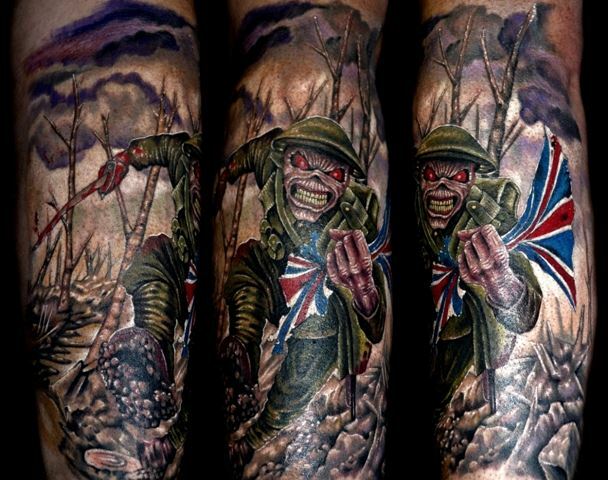 How long have you been tattooing? So the truth is... in 2007 I moved to UK. One summer day in 2008 I was chilling on the bench front of the cinema, smoking fag and thinking about my life... watching the people around me and then I saw tattoos on everybody, small, large, sleeve custom works... but really poorly done. Then I came up with the idea to start tattooing! I thought it will be a good idea if I can make something better, something what can look awesome. All my life I loved art, I was into painting and drawing so would be great if I can give my skills to the people and make some nice artwork!! I knew it will be a long way to grow up in this business and I had lot to learn but, nothing could stop me! so I start learning, YouTube, internet, web, DVD, try-mistake, step by step everything alone. I had two jobs, and in my free time, I kept going tattoos for free or just for small coins cower needles and colors and pick up skills. This took me around 2-3 years. In 2010 I opened my small shop (Dark Cave :-) ) and I'm still working there. Q: People nowadays think that tattooing it's an easy job. You just buy some equipment from Ebay and start tattooing, some are even tattooing big pieces like full sleeves and back-pieces. :) What was the hardest part in getting into the tattoo scene? A: I thought exactly same and yes I bought my my first tattoo kit on the e-bay, but I never thought it's an easy job! It's a really hard job. if you would like to be a real tattoo artist. I've always like to do big concepts. I'm really lucky, because my customers trust me, so this is what it gave me a hand to grow, even that many times I made my first big pieces for free just for popularity. The hardest part in this business I think, it's pushing yourself into magazines, competitions and publicity, to make yourself visible, everything has its own time, so work on yourself and understand what you're doing! Q: You're one of those artists, that pays a special attention when it comes to details. 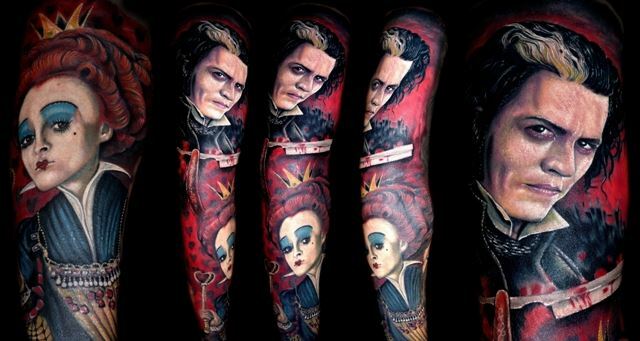 I love almost all of your sleeve tattoo designs. 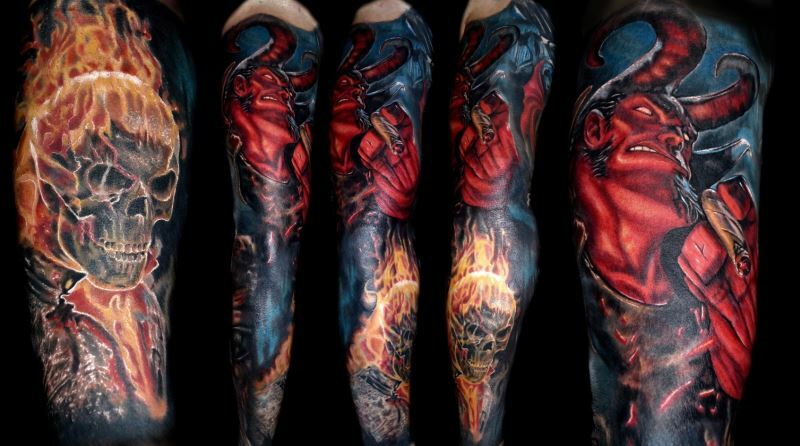 Deep shadows and brilliant highlights are also part of your tattoo technique. Would you say that this kind of work is your specialty? A: Most of time, I work on two stages, first stage is a simple work. I'm trying to feel the power of the picture, make a basic sketch work, pick up the simple shade and type of the skin. The next stage is sitting, I try to add the deep contrast (so important) texture and highlights. 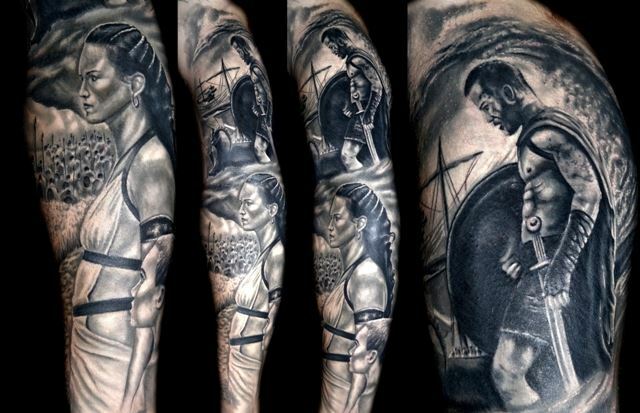 I wouldn't say I have a specific style, I wouldn't limit myself, I just love the tattoo art and powerful pictures. Q: How much time do you usually spend working on big pieces? Do you take many sessions or it could be done in one session? A: The time is everything when it comes to making real art! It's really difficult to say how long will take one sleeve or back piece to get it done. There are lots of things to be considered, but most importantly the skin type of the client and its reaction (white-dark, bleeding, redness, soft, strong etc), also the customer's pain level and his limit. Of course, the last part of the whole process is working on the right artwork + stencil. 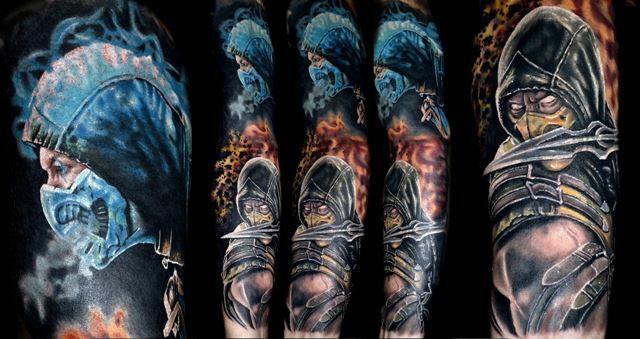 So some sleeve tattoos, can take 20 hours and some 30 hours or even more. I'm working in the shop on each customers around 5 hours- per sitting (except on tattoo conventions, I make long sittings of 1 or 2 full days). I don't cheer up nobody, before the tattooing, we have the consultation and we will be together in finding the best option for their artwork. I make my job so strictly, because I'm working per day up to 10 hours, normally 5-6 day a week and have a 9 moths waiting list, so I'm never up for making some extra money. The tattooing is a mission – making maximum for all my customers. A: Yes this is absolutely true! 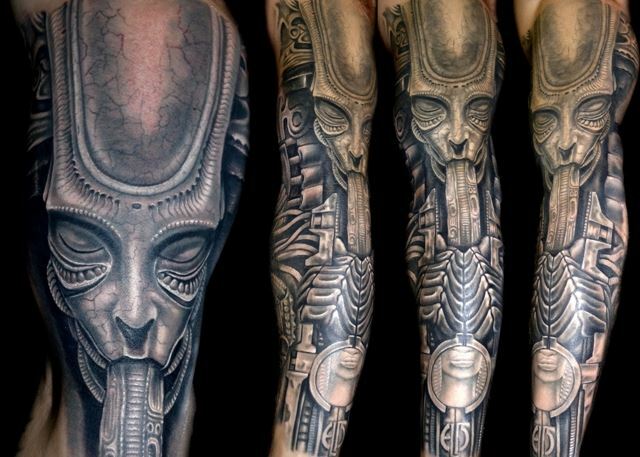 Tattooing is a life style and if you like it, you must live with the art around to you. You can see it in your steps, outside, inside, movies, music, adverts, shopping, cooking, love, family, so it's absolutely sucking your soul step by step and making you a slave. I'm trying to get along with my customers, with their ideas, listening to people and I trying to help them having the right artwork. Tattooing for me is a 24 hour job. The pure challenge is the tattoo competitions and just in 5 years, I won 41 awards, most of the artworks I did were for small coins or total free charge just for myself. This year I gave up this part of my life and I don't want challenge any more on the conventions, I would like to live for my family and my customers and not for my EGO! Q: What do you tell to those who just want to get a tattoo but they don't know what they want? Are there any customers like this?